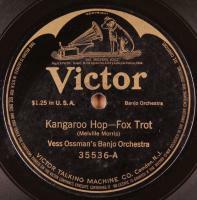 Fine 12" sides by great pioneer recording artist, Vess Ossman and his Banjo Orchestra. Condition: V+; Plays great, loud and strong. 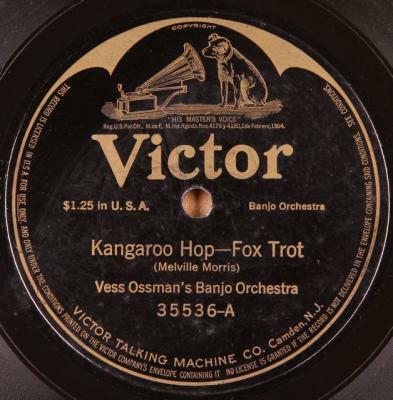 Generally quiet surface aside from a bit of light surface noise at beginning of "Kangaroo Hop". Overall very light surface rubbing and traces of light graying of grooves.